It has been a while, but before my summer hiatus and summer camp adventures, we were talking and sharing about my own Scouting experience – as a Scout. But, now let’s switch gears and talk about you – the Boy Scout. As you first join Scouting, you will probably hear – or did hear – a lot about the subject of advancement. Advancement is one of the methods of Scouting. The advancement plan is designed to help you learn a lot of new things and to let you explore new worlds. Advancement is important but remember that it isn’t the only reason you’re in Scouting. There are many fun things to enjoy in Scouting and advancement is just ONE of those fun things. Advancement can, however, provide some of Scouting’s greatest opportunities for you. The advancement program will take you on the trail from Tenderfoot to Eagle Scout. And you’ll have some great adventures along the way. The Tenderfoot award is your first step along the Eagle trail. You’ll be able to get your feet wet as you become familiar with the Scouting program. You will work on this rank your Gnubie year of Scouting. Many of your Tenderfoot skills will be earned as you work with your patrol and troop members. Your Tenderfoot badge will help you get involved with the patrol and troop. Your patrol leaders can probably help you learn many of the necessary skills. The other patrol members can also assist you as you work and plan together. So, you’re now a Gnubie and ready to learn some of the very basic Scouting skills. You’re on an exciting trail. As you work on your Tenderfoot award, you’ll learn some first aid skills, how to pitch a tent and how to camp overnight. These skills you learn will help you as you participate in outdoor activities. Then, as you complete your Tenderfoot badge requirements, you’ll get to have a conference with your Scoutmaster. This is a key meeting since he can help you set some goals for your future Scout advancement. Together you can talk of what you’ll need to do for your Second Class requirements. Remember that he’s there to assist you – so ask him for any help that you need. 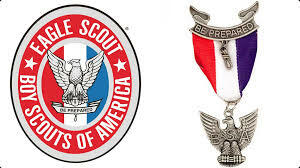 As you visit with your Scoutmaster, set a date by which you want to earn the Second Class badge. Setting a specific date will help you work harder for the badge. It will give you incentive to go for it. Then, after you’ve set the date, do all you can to complete everything for the badge by that time. After your Scoutmaster Conference you’re ready for your first Board of Review with the troop committee. You’ll probably be a bit scared as you think about the review but don’t worry about it. You’ll do fine. I can understand the butterflies in your stomach, however. I experienced the same trauma. I may be mistaken, but I think it was actually a bit worse when I was a kid. I had to go to large district-wide Boards with people that I didn’t even know reviewing us. I still remember the trauma of one review – held at the local junior high school. I remember being outside the building and frantically trying to commit the Scout Law to memory prior to my review. I was really in a panic! My Eagle review was particularly unnerving. I had to go to the large Methodist Church downtown. These Boards were held about once every other month and they would review twenty to thirty Eagles on a given evening – using about six different review teams who were located in various parts of the building. The review began with a general orientation program about the upcoming process and then we’d sit for a couple of hours awaiting our own review. I remember being real nervous as I waited with the crowd of other Life Scouts. Then, at long last, my turn came up. A red-coat Scouter came to the stage microphone and announced, “Kevin Hunt … go to room 5”. Wow! Here it was … the big moment that I had been waiting for all of these years. It was my turn on the hot seat. I wondered if I would pass. I nearly tripped over my feet as I somehow found my way to room 5 – or whatever it was. And once I got in there, I found myself the focus of three or four old guys. They all kind of glared at me. Then they started firing questions at me. I muddled through the first few and then was able to relax a little bit. I talked about my trail from Gnubie to Eagle Scout. I shared with them some of my favorite experiences along the way. We talked of some of the hard things – like my lifesaving merit badge – where I nearly died trying to pull the guy from the bottom of the 14’ deep pool. We talked about the Scout Oath and Law and how they had impacted my life. We talked of how I had grown through Scouting and what I had learned. I think the review lasted about 45 minutes. Well, that’s my story – and I am sticking to it. You can relax a bit, however. You will probably not have to face the Sergeant Drill Team that I did. In fact, as you go to your boards of review, you will probably already know the guys who will be reviewing you. They will probably be from your own unit, church or neighborhood. In fact, they will probably already be your friends. You’ll want to wear your complete Scout uniform to the review. And you’ll want to arrive at the Board a few minutes early. This will help you relax as you prepare for your review. As you go in for the review, take a deep breath. Relax a bit. Remember that the people there are your friends and they want you to achieve the rank as much as you want to pass the review. I told you to know your Oath and Law. The Board will likely ask you to give these right at the start of your review. Do you best with them. You’ve studied them and you’ll do okay. 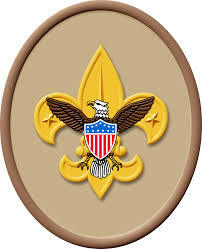 Stand proudly and recite the Scout Law and Oath as you proudly raise your arm to the square in the Scout sign. Let them know that you are proud to be a Scout. Once you’ve made it through the Oath and Law, it’s all downhill from there. From that point, the review Board will just ask you to tell about the hikes and activities which you have participated in. They’ll briefly review the skills you’ve learned for the badge.